Since 2005 we have been bringing customized payment solutions for businesses of all sizes and industries. With a global network of 40+ acquiring banks, we are perfectly positioned to help you to grow your business. Overly high credit card processing rates limit ecommerce merchants. Our customized payment solutions, including high risk merchant account, come with interchange++ pricing. Expand your market reach by accepting payments in preferred method specific to particular countries. Over 30 alternative payments methods to handle your e-commerce, recurring subscriptions and point-of-sale payments. Accept Visa/Mastercard credit and debit cards, Carte Bancaire (France), Amex, JCB, iDeal (Netherlands), SEPA DD, GiroPay (Germany), Sofort, Bancontact, China UnionPay, Paysafecard, and more. All payment methods are integrated within a single payment platform. Cross-border card acceptance with over 150 processing currencies and over 20 settlement currencies. Accept payments in domestic currencies no matter where your target markets are. Hassle-free expansion to global markets for any business. Long lasting partnerships with acquiring banks and payment service providers allow us to provide customized payment solutions for almost any industry, from POS to high risk such as adult and gambling. 24/7 dedication from our agents for no additional fees. Online credit card processing services with lightning fast support and full assistance throughout the application process to help you get the best possible rates in least amount of time. Free ongoing 24/7 support. 40+ acquiring banks across Europe, UK and worldwide. Tailored e-commerce, MOTO and high risk merchant account solutions. Access our network of award-winning, secure payment gateways. Accept credit and debit cards by latest standards. Keep your online payments secure with built-in fraud prevention filters. Integrated controls by dedicated anti-fraud specialists. 24/7 dedication from our agents for no additional fee. We work with you on a daily basis throughout the application process to help you get the best possible rates in the least amount of time. 24/7 support via Skype, weekends included! Decade-long partnerships and thousands of accounts on-boarded over the past 12 years. MerchantScout only works with proven banks and payment providers across the EU, UK and worldwide, keeping you focused on your business instead of everyday hurdles. With numerous domestic and offshore banking solutions, our merchant account agents will have your business up and running in no time, no matter which category you're in. Online payments, POS, MOTO, trial subscriptions or high risk. "Merchantscout and Ecoparcel have been working together for several years with amazing customer service response times, lowest fees and no downtimes. Our clients have received the smoothest payment options since." "MerchantScout assisted us with opening a merchant facility when we started and have been an invaluable partner since. We highly recommend talking to them if you are looking for merchant solutions. They are extremely knowledgeable and have solid relationships with many banks." "When we were first approached by MerchantScout, who promised us savings on credit card processing, we were sceptical. We decided to proceed anyway and we are happy to admit that MerchantScout really delivered on their promise. Plus their customer service is top notch, always responding quickly to our queries. We are recommending MerchantScout to anyone looking for a reliable merchant account solution!" "Rest assured the service from MerchantScout will be highly professional. Within 4 days of filling their online application we had several offers on the table to choose from. 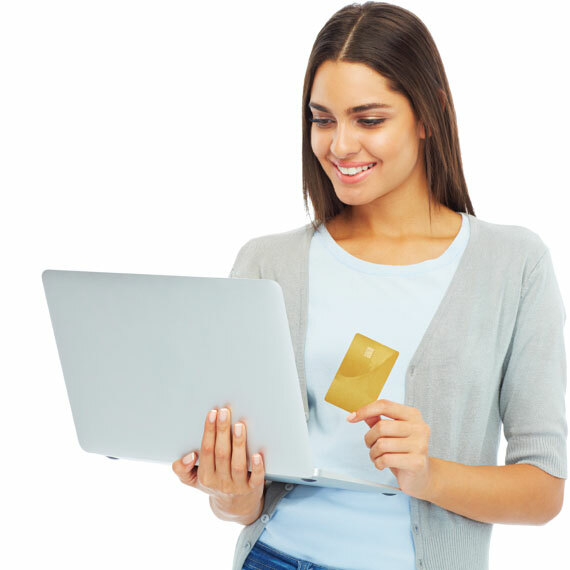 We chose the EU merchant account setup with a payment gateway and a rate lower than 2%. So far everything has been working very smooth." "Our business has been considered as “high risk” which made it impossible to get a payment system the usual way. We found MerchantScout at a time when we had lost all our hopes. They spent time trying to understand our business and came back with a plan. In a very short time we had our account up-and-running. A big thank you to entire team at merchantscout.com"
"I was having real trouble getting a solid payments service because of the specific nature of our business. MerchantScout was for us the biggest thing in 2013 to transformed our company, and we couldn't be happier. I'd highly recommend these services to any businesses related to ours to give it a try." "This had to be the fastest and easiest merchant account application procedure we've ever done. Virtual Terminal and the gateway integration was assisted by an A-grade tech support team. Awesome service!" "Extremely happy with your service! Not only did you guys match my rates from my previous provider, but you've successfully worked and negotiated with the acquiring bank to give us what we need in terms of payout conditions. We're very thankful for all your effort." MerchantScout takes a customized, individualized approach with each case. We do not treat our clients merely as numbers but take time to review each case in detail and do what is in our power to arrange a payment solution, based on the requirements and preferences of our clients. We do not work with any bank or merchant simply to make a quick buck. Instead, we have learned through a decade of experience which banking partners work with the same healthy philosophy as we do, with whom we can be confident that our merchants will receive a quality long-term service. Regardless of merchant industry, we give you access to a network of trusted banks, payment institutions, payment facilitators and merchant service providers. Our team of experts will endeavour to strike the best deal for you by arranging optimal card processing solutions, at no additional cost from our side. MerchantScout offers global high risk card processing services for a wide range of industries, through an extensive global acquiring network of processing and banking partners.